Root cover up by Color Wow. 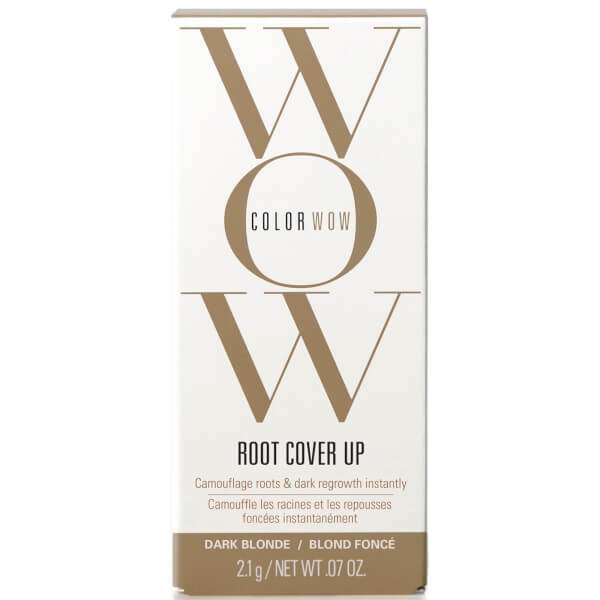 Root Cover Up dark Blonde (2.1g) is the perfect product for covering up roots and regrowth both quickly and easily. This revolutionary product can both camouflage unsightly grey roots and cover up dark regrowth instantly in lightened and highlighted hair – without the use of peroxide! The professional powder compound adheres to hair without being sticky or oily yet also doesn’t have a dulling effect on the hair or make it look dry. The innovative formulation is also water-resistant which means your new colour will last from shampoo to shampoo. 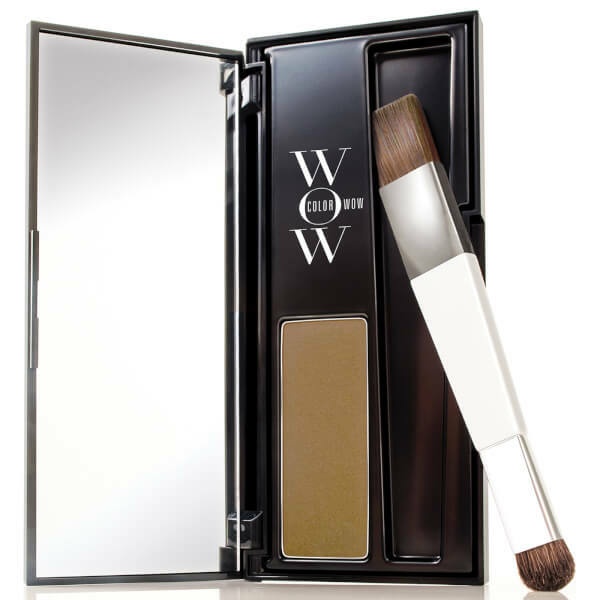 Each Color Wow shade is uniquely formulated using a variety of pigments and reflective particles to ensure it matches your natural hair colour perfectly. Apply to dry hair using the included dual-tipped brush. Start with a small amount of powder and apply to roots or regrowth, beginning at the scalp and working out. Increase amount of powder if necessary and repeat process until all your roots disappear. 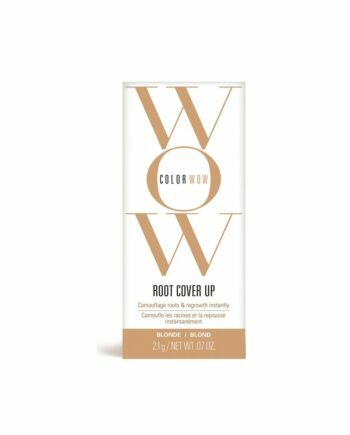 Buy Color Wow Root Cover Up Dark Blonde 2.1g on-line today at Riah Hair.